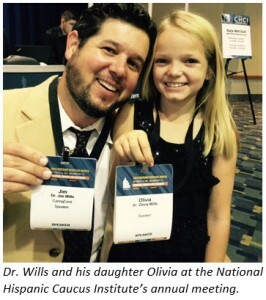 Dr. Wills is an accomplished technology, policy and development expert with a proven history of delivering targeted, engaging and practical presentations to audiences of all types. Most recently, as a guest of Congresswoman Michelle Lujan Grisham (NM-CD1), he addressed the National Congressional Hispanic Caucus Institute at its annual meeting in Washington, DC. He currently serves as CEO of CaringCent, a fundraising technology company that has turned the common practice of check-out counter donations on its head – enabling consumers to decide where their change goes as opposed to the merchant. Dr. Wills attended Northwestern University, where he earned a Bachelor of Arts, then attended Princeton University’s Woodrow Wilson School of International and Public Affairs, receiving a Master’s in Public Affairs. Most recently, he earned his Medical Doctor degree from the University of New Mexico. He has published papers in journals of all types, including medical, economics, and development. He has spoken at meetings as diverse as the National Association of Medical Staff Services, National Private Duty Association, and National Congressional Hispanic Caucus Institute. Mobile wallets, Millennials and Giving: We are inundated with so much data on Millennial’s giving preferences. Dr. Wills synthesizes these data into actionable insights and applies them toward Mobile Wallets (Google Wallet, etc). Policy Pipeline and Your Profession: Federal and state policies have a great impact on individuals’ donation decisions. Dr. Wills honed his policy forecasting and interpretation skills at Princeton University and will bring his insights to your audience. Giving Feels So Good – Why and How Do You Message This? In this talk, Dr. Wills will talk about why giving makes a person feel good, but don’t worry, while he covers some of the biochemical processes that put you asleep in high school, this time, you’ll never forget them!